It’s Hangover Thursday, how’s your head? I’m trying hard not to fall asleep at my desk after a night of Shadowrun followed by three overtime periods of amazing hockey. Recently my mother in-law went to Scotland and Ireland. She brought me back wonderful whisky and Guinness items; one of those items is the topic for today. Seriously, this is awesome. 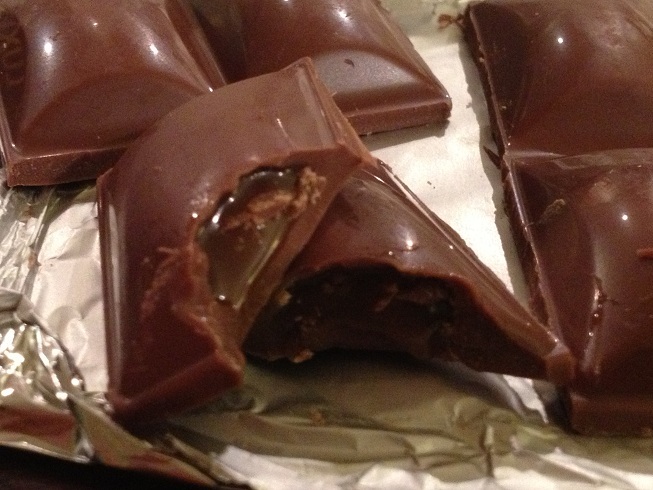 The Guinness Luxury Milk Chocolate Caramel Bar. I was told about it before I saw it. 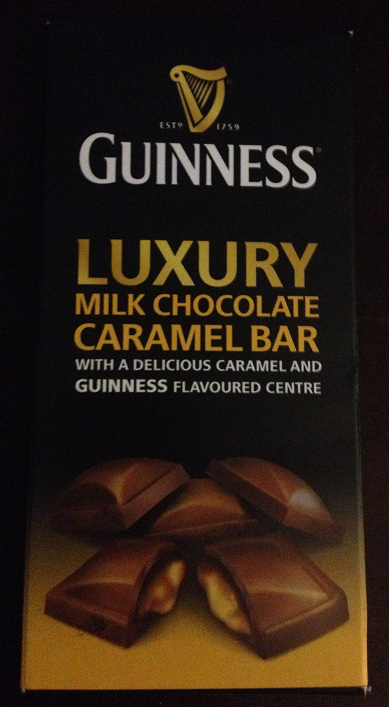 The package describes it as a chocolate bar with “a delicious caramel and Guinness flavoured centre”. While I’m not a giant fan of chocolate I really enjoy both caramel and Guinness. I’d had chocolate stout before, but never stout flavored chocolate. 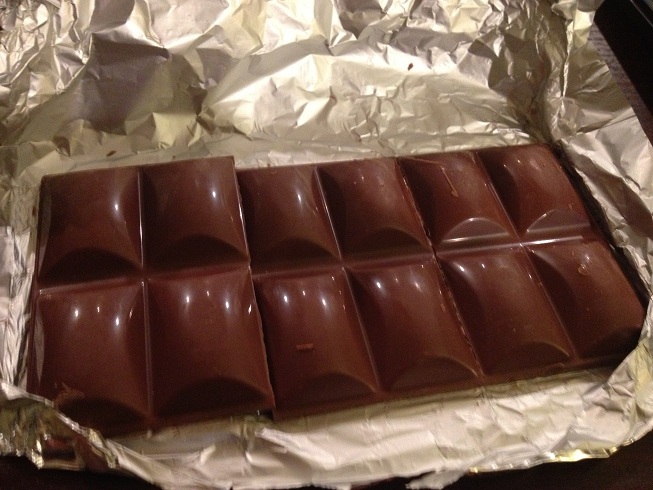 It’s a fairly big chocolate bar divided into 12 squares. It looks like any other chocolate bar with some kind of filling. The only thing left to do is taste it at this point. So how is it? After all this build up all I can say is that it’s okay. 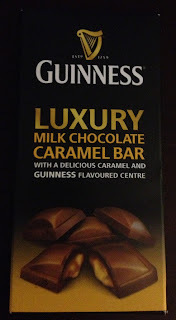 The chocolate is good but the Guinness caramel doesn’t really taste like Guinness. Instead it tastes like every liquor filled chocolate I’ve ever had. Way more like whisky than Guinness. That being said it isn’t bad, it just isn’t what I was hoping for. Once I got around my expectations I did enjoy the chocolate bar, I probably wouldn’t buy another one though. I’m also still thankful that I was able to try one.